"I never gave up, and I never quit," Wendy told Entertainment Weekly. 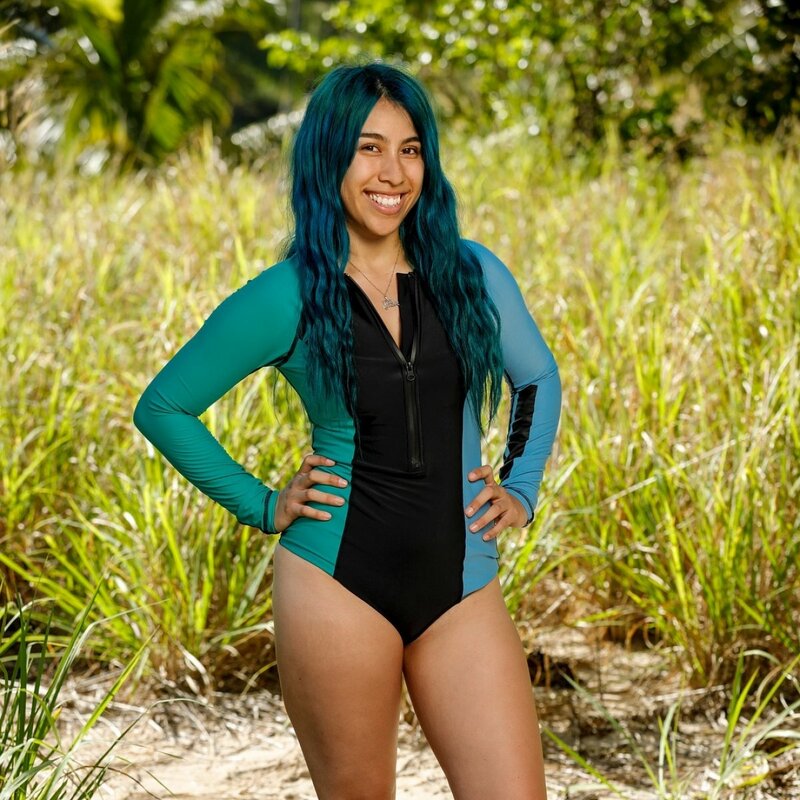 Wendy, a 25-year-old small business owner from Los Angeles, CA, who currently resides in Bell, CA, was a couple of inches away from winning the "Edge of Extinction Challenge" that ultimately allowed one previously-eliminated castaway to re-enter the game. However, her ball dropped off the track, and after Rick Devens won the challenge and rejoined the game, Wendy celebrated the chance to return to the Edge of Extinction and wait for another opportunity. But her joy quickly faded and the reality of staying on that island another day appeared to sink in. Once "Big Wendy" returned to the barren island wasteland with limited food and resources, as CBS has put it, she and fellow player Keith Sowell decided to end their time on Survivor. "At the time, it seemed completely optional to either stay or leave considering we had already been voted off," Wendy explained, attempting to justify why she didn't believe she quit the game. "I never ran out of gameplay but I saw The Edge as a place to seek revenge, see-through unfinished business, to prove something. At that point, I had ZERO regrets with the game I played." Had Wendy actually won the special challenge and joined the merged tribe in the original game, she feels she would have excelled. "If there was one thing that I loved on Survivor, it was the challenges. Being so close to winning was exhilarating, and I knew if I had gotten back into the game, I would have been safe and made it deep," Wendy told EW. "Absolutely no one saw me as a threat at that point so it would be pointless to vote me out. I knew that I would be able to integrate into Kama and be a number for them." No one seemed to view Wendy as a threat because she was known for making waves in her tribes. Not only did she play an unpredictable game and sometimes support outsiders rather than comply with the majority, but Wendy also refused to kill and eat the chickens previously won at a Reward Challenge. Wendy -- who eats meat herself and wanted a cheeseburger following her vote-off -- even freed the chickens and let them run loose. "I believe that people can be compassionate towards animals and still eat meat. Is it hypocritical? Absolutely. The same way people who own pets at home and still eat meat are hypocritical," Wendy explained. "That shouldn't discourage people from fostering animals. With that being said, I have been a vegetarian since the end of last year, but I did eat meat coming directly off of the show and the few months that followed." Now that Wendy has no shot to win Survivor or its $1 million grand prize, she revealed she's rooting for Eric Hafemann, a 34-year-old firefighter from Chicago, IL, who currently resides in Livermore, CA, to go all the way. "When I left the game, I was rooting for my fellow tribemate Eric to win because despite him voting me out, he did not do it maliciously," Wendy shared. "You can tell he has a kind soul and would do anything for his family." After Wendy and Keith, a 19-year-old pre-med student from Fayetteville, NC, who currently resides in Durham, NC, quit the game, the newly-merged Vata tribe voted out Joe Anglim during Wednesday night's episode of Season 38 on CBS.